Q: My renovation was finished 18 months ago, and I’m already noticing some things aren’t holding up as well as I expected. What can I do? Who’s responsible? A. Every renovation project requires a certain amount of adjustment after completion. As a renovator, you should ask questions about warranties during early meetings with architects and contractors. Don't be shy about presenting worst-case scenarios, because they do happen. 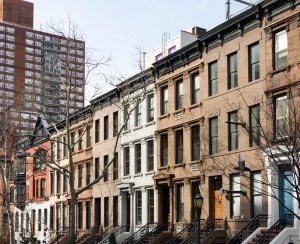 “It's always a good idea to discuss these items up front and get them in writing,” says Alex Ushyarov, a general contractor and founder of the NYC flat-rate home-improvement website Clickandimprove.com﻿. It's also wise to ask about a contractor's post-job responsiveness when checking references. But even if you didn't lay the groundwork early on, call your contractor and explain the circumstances in detail. Depending on the issue, it may or may not be your contractor's responsibility, and either way his or her feedback can be invaluable. With some exceptions described below, if something breaks or isn't operating properly, (e.g. a closet door doesn't close, a ceiling is cracking, or an electrical outlet stops working), “this is generally the responsibility of the contractor,” says Ushyarov. Less frequently, Ushyarov says, are instances where something has broken or failed a year or two after the project was completed. In a kitchen renovation, for example, the plumbing underneath the sink may start leaking, or the sink becomes loose, or the cabinet doors start rubbing against each other. In this case, says Ushyarov, he would take a look to determine if “the problem was a result of faulty material or craftsmanship,” and then take the appropriate course of action, such as asking the plumber to return to the site to make an adjustment or fixing the cabinet doors on the spot. Ushyarov says most reputable contractors will return to tweak or repair big and small items as needed within the first two years after construction is completed. If, for example, "an entire roof was done and started leaking a year later and caused damaged to the ceiling, a reputable contractor will come back, fix the roof, as well as any damage caused due to the leak." Builders or contractors commonly offer warranties (typically one year) after a project is completed/occupied, explains Tom Degnan of Degnan Design Group. However, he says, there is no "standard warranty" policy in the construction industry because every project scope is different. “If after the one-year correction period something else goes wrong with the contractor’s work, then you will probably need to go down the route of litigation,” says New York architect Stanley Wong, unless of course you can come to an agreement with your contractor beyond that initial period. What will an architect do? The insurance only kicks in when there is a claim made against the architect, meaning "it has gone beyond an amiable level of solving the problem," says Wong. It the architect is found to be at fault, the insurance generally covers legal costs and the claim. “If a design component such as a beam, floor framing, or roof framing was determined to be failing structurally, a claim can be made against the architect’s E & O insurance policy," says Degnan. If someone hires an architect to design a space and it results in some type of problem determined to be the result of ‘errors and omissions’ in the design, "the client can pursue legal action against the architect as well as builders, etc.."
A typical AIA (American Institute of Architects) document calls for a one-year correction period. You can specify another amount of time in your contract, but a full-year is reasonable. Some items such as appliances, equipment, cabinets, and flooring come with a manufacturer's warranty, but read the paperwork to understand what is covered, and pay close attention to the fine print. “You may not be getting the warranty that you think you are," says Wong. An example would be Corian countertops. "The 10-year Corian warranty sounds good," he says, but to make a warranty claim, you need to have a receipt of proof of purchase and installation by a DuPont authorized Corian fabricator/installer. In this case, the architect's specifications should be outlined in detail and should state that an authorized Corian fabricator/installer must be used for the purchase and installation of the countertops, or the warranty will not be valid. In a nutshell, if you use a handyman to "buy and install your countertops -- you may not have any warranty." Pre-manufactured components such as cabinets, fixtures and appliances would almost always have some form of manufacturer’s warranty. Certain other building components such as roof shingles and some siding offer “lifetime” warranties, however there are many conditions. Often, even if warranty covers the product itself, labor won’t be covered. “If a new window is put in and fails, the window manufacturer may replace the window for free, but won't pay for the general contractor to rip out the old window, repair the damage inside and paint it,” says Wong. In this case, you’ll need to work out a deal with your contractor. If you've got an appliance or fixture problem (a permanent or built-in item) on your hands, it’s typically the manufacturer’s responsibility to find, fix and/or replace, provided it’s within their warranty period. But if you purchased the appliance or fixture through your contractor or architect (they specified it, ordered it and made a commission) then your contractor or architect should handle any repair or replacement. Renovation responsibility is not always black and white. 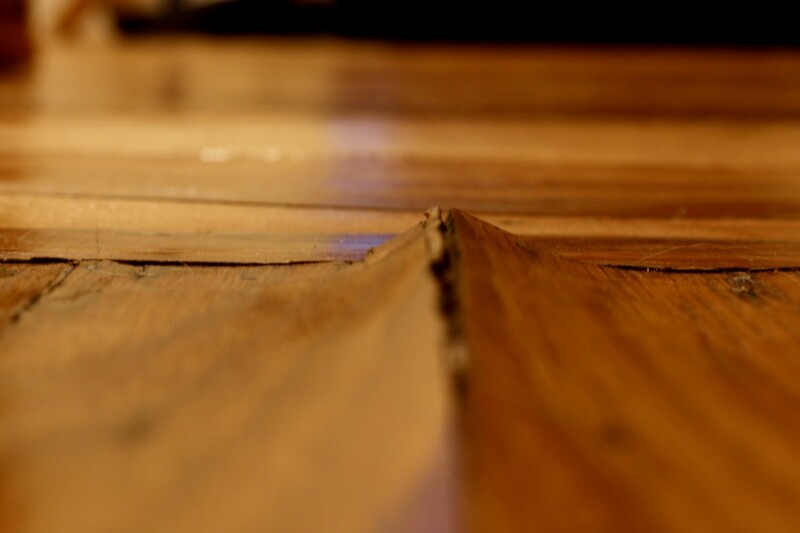 A warping wood floor can be a complex issue, since the cause can be hard to pinpoint. Perhaps it was a defect in the product itself. Perhaps the contractor didn’t install a critical layer under the floor as specified and the floor started to buckle, says Ushyarov. Or maybe it was a response to a too-high humidity level, in which case you could blame the HVAC contractor for putting the wrong humidifier in, he says. If an installer didn't follow the instructions within the manufacturer’s spec and the wood warped, the warranty wouldn't be valid. As a result that installer should technically be responsible for replacing the wood floors. “Finding the cause of these problems is critical,” says Wong. 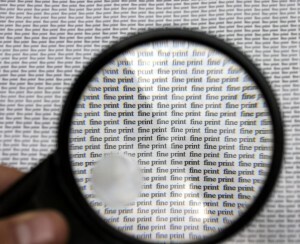 Often some investigation is required to determine the reason why something failed or isn’t functioning properly. It could be the specification, material or fixture, as well as installation. There are multiple places where errors can hide. A sub-contractor (managed by your general contractor) should be able to pinpoint the issue relevant to his or her area of the project. Architects and contractors aim to get referrals. If they're reputable (and sometimes even if they're not), both should want to keep you as a good reference to attract future clients. As a result, “they might be willing to put in the time and labor to fix things within reason, no questions asked," says Wong. NYC Renovation Qs: How much do architects charge?